Being born and never allowing yourself to open up and lay witness to the stunning world around you should be a crime, especially when you have a dazzling luxury convertible on the market like the 2019 Buick Cascada to lead the way. With its striking exterior that will turn heads, cozy closed-top interior cabin and a rejuvenating open-top driving experience with up to 200 horsepower, the 2019 Cascada is a remarkable way to experience the world with confidence and pride. Once you get behind the wheel and take to the streets, you will feel as though you are taking in all the beauty of the world around you for the very first time. Sparkling bodies of water, luscious greenery, humbling mountain ranges, and awe-inspiring man-made architecture will never again be overlooked as you travel with the freeing and wide-open 2019 Buick Cascada as your guide. 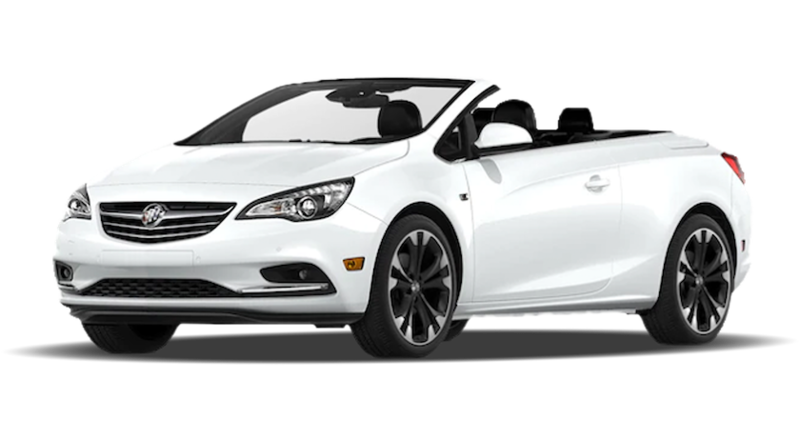 Basic highlights of the 2019 Cascada are it’s unmistakably charming style, thrilling performance output for a fun driving experience, and an abundance of top-of-the-line features for your safety, convenience, and entertainment. With all of these luxury accommodations you would assume the 2019 Cascada would be way beyond the general budget of the average driver, but for what you are getting, the starting price of around $33,000 is actually reasonably valued for this small and stylish model. Overall this 2019 Buick Cascada is the ideal model for anyone who wants to remember what it means to go beyond just surviving, and start living. The 2019 Buick Cascada is a luxury convertible that can fit up to four passengers, but its beautiful design makes it seem more art than automotive. There is not a car on the market that more so exemplifies a sense of crystal clear freedom in a way that is modern and fresh. The structure is sleek with gentle curves in all the right places to highlight its more dynamic features, giving the 2019 Cascada a distinctive design that is both refined and sporty in a way that is appealing from every angle. While behind the wheel of the 2019 Cascade, you will never again feel bored and can experience firsthand the pure enjoyment of driving something that transforms your world by opening you up to all it has to offer. Within 17 seconds the stylish soft-top of the 209 Cascada can be down, and your invigorating adventure can begin. That being said, while the exterior is a stunning masterpiece of style and freedom if you want to feel cozy and at home, while on the road, the 2019 Cascada encourages that as well. It only takes 19 seconds for the top to come up on the 2019 Cascada, and you will instantly be wrapped in the warmth and coziness of the luxury cabin. You will find the cabin fitted with premium materials and pleasing textures to assure that your experience is always elevated to your level of satisfaction. Quiet and abundant in amenities, the cabin will allow you to stay relaxed and secure as you go about your day in peace no matter what the terrain, weather, or traffic alerts have in store for you. Yes, inside and out, the 2019 Buick Cascada has style to spare, but that style doesn’t mean much if you can’t personalize it to match your own unique flair. The 2019 Cascada gives drivers a plethora of options for such items as the exterior paint, soft-top cover, and interior upholstery so that you may customize your driving experience. There are some truly classy shades of blacks, whites, and grays for the more traditional look, but there are also stunning reds and refreshing light blues as well. As for the cover, you can mix and match either a dark ebony that resembles a black or a sweet mocha that has a smooth brown shade to it. Not only that, but even the wheel options can elevate your style with such features as bi-colored finishing for something unique, and blacked-out pockets to highlight its more sporty aspects. So feel free to make the choices that let you drive in confidence. The capabilities of the 2019 Buick Cascada are all about fun. Its spirited turbo engine and elevated suspension system deliver a thrilling performance that entices drivers with smooth, speedy, and seamless movement. The standard engine that comes with every 2019 Cascada, no matter the trim, is an energetic 1.6L Turbo 4-cylinder engine which provides 200 hp and 207 lb-ft of torque. This engine may be the only choice, but that’s because there is no better match for this brilliantly designed luxury convertible in order to keep it free and feisty. This model is only available in front-wheel drive, which is often high-performing when it comes to traction on everyday roads due to its lower weight engine. You can also feel confident in the handling of the 2019 Cascada considering it comes standard with StabiliTrak and its innovative HiPer Strut front suspension. On top of all that, the fuel efficiency isn’t anything to sneeze at with 29 mpg highway to keep you going. Nothing makes a vehicle more fun than adding on some brilliant features to make the journey that much more enjoyable. One of the best things about the 2019 Buick Cascada is that it comes with a healthy list of standard features for the price point, and that means even at its lowest you will be able to find satisfaction in the stunning model. The main three feature categories you are going to want to take a close look at are safety, comfort, and technology, as these features will increase your driving experience in nearly every way. For safety, the 2019 Cascada is all about making safety a thoughtless process to the point where even the seatbelt is set to slide forward upon starting the vehicle to make sure you will remember to put it on and have an easy time doing it. There are also plenty of advanced safety features that promote awareness and increase reaction time by alerting you to unexpected occurrences or objects in your driving space. This is accomplished by applying sensors and cameras at the front, back, and sides of the 2019 Cascada to ensure every inch is monitored in some way. Some of these safety features are standard, but the few not included with the base price are well worth the upgrade. If all of the preventative measures still can’t help you escape an unavoidable collision, the 2019 Cascada is also prepared to protect you in any way possible. As an example, if the vehicle should unthinkably roll over, the 2019 Cascada is fitted with pop-up roll bars in the rear that are as tall as the windshield to ensure that even with the top down, you personally will not suffer any impact with the road head on. With how advanced the system is, it is no question as to why it received a 5-star overall rating form the NHTSA. For comfort, you will find a long list of standard and upgradable features to make you feel at home even during the longest drives. Examples of this include leather upholstery with built-in heating for the seats and steering during cold days and nights, a thermal barrier soft top cover, easy-entry rear seating, plenty of cargo space, and controls that are easy to navigate and soft to the touch. As for technology, the big thing in recent years is connectivity as you drive. This can include such features as standard navigation, built-in Wi-Fi, and Buick’s personal connect service and app that links your entire digital life to your Cascada with ease. The best part about Buick, though, is that they will allow you to select the connective plan you want for your vehicle. Features such as smartphone connectivity or remote vehicle start can all be added to your 2019 Cascada with little to no effort on your part. The tech options for this model are almost endless, and so you can easily find the connection package that works best for your needs while on the open road. At Rick Hendrick Buick GMC Duluth we take responsibility for your car-buying satisfaction no matter what your needs involve. Our inventory is always well stocked with a quality inventory of luxury and affordable vehicles to ensure that you get the perfect model for your lifestyle. As for our service, we provide every driver with a unique service experience that is not only efficient but will allow you the freedom to enjoy the excitement of getting a new vehicle. 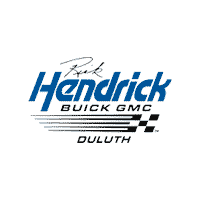 At Rick Hendrick Buick GMC Duluth, you will set the pace and the price, and then feel free to let us do all the boring, dirty work for you. The car buying process doesn’t need to be a hassle that ends up taking away all enjoyment of getting on the road, at least not if you have the right partner on your side, and we aim to keep it worry-free and quality-assured.